Through some macabre coincidence, my wife and I chose to rewatch Good Will Hunting two nights ago. It’s an old favorite of mine — a good but not great script about a boy genius from working-class South Boston who overcomes his self-destructive behaviors thanks to the intervention of a foulmouthed psychologist (played by Williams). In almost every one of his scenes, Williams ennobles and transfigures the film, lending its somewhat fanciful and slightly mawkish story greater emotional depth and authenticity. 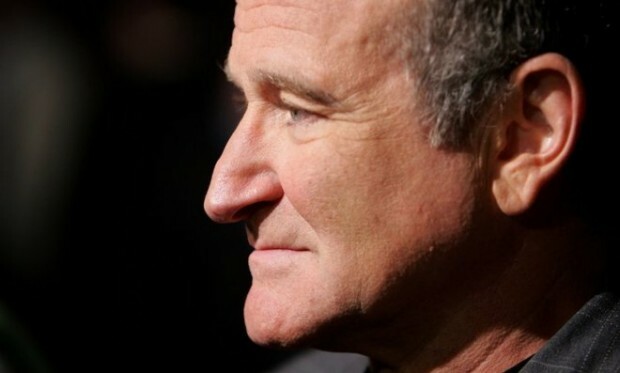 I can’t say that news of Williams’ death, apparently by suicide, came as a complete shock. In his manic and maniacal stand-up routines no less than in his greatest dramatic acting, Williams danced on a tightrope over the abyss. He behaved like a man desperately trying to distract attention from an emptiness within himself. The possibility that he ended his own life leaves me feeling terribly sad. But it also feels somehow fitting, like the confirmation of a half-acknowledged hunch — or the fulfillment of an awful prophesy barely perceived or understood. Onstage, Williams could be exhilarating, and exhausting, as he hurtled through a kaleidoscopic array of characters, some impressions of famous people, most of them conjured from the depths of his own slightly deranged and riotous imagination. In well over an hour of frenzied free association, Williams would careen through the world, making bizarre connections, heaving forth fragments of ideas and clumps of observations from what must have been a tortuous unconscious. When it was over, I was invariably worn out by laughter — but I also felt slightly unnerved, aware on some level that I’d just been entertained by one man’s utterly distinctive form of self-abuse. It was less a comedy routine than a comedic seizure. Watching Williams branch out into film acting confirmed it for me. Not the comedies, which were often vehicles for him to reach a wider audience with a version of the hyperactive persona he cultivated onstage. I mean the dramas — above all, The World According to Garp, Moscow on the Hudson, Dead Poets Society, and Good Will Hunting. That’s where he gave audiences a clearer glimpse of the depths that lurked inside him. There was humor, levity, and fun in these films, but also moments of terrible sadness. And tenderness. And fury. Williams was masterful at them all.